In the first part of the series, you created the main menu and the basics for the host and join game screens. In second part of the series, you implemented the join/host game logic, complete with elegant disconnection handling. In this third part of the series, we’ll implement the ability for the client and server to send messages to each other. In addition, we’ll start creating our Game’s model class, the game setup code, and more. Let’s deal back in! The game properly starts when the player who hosts the session taps the Start button on the Host Game screen. The server will then send messages to the clients – these are packets of data that will fly over the Bluetooth or Wi-Fi network – that instruct the clients to get ready. These network packets are received by what is known as a “data receive handler.” You have to give GKSession an object that will handle any incoming packets. It’s a bit like a delegate, but it doesn’t have its own @protocol. // We're now connected to the server. Here you first get the name of the player from the text field (stripped from any whitespace). Then you call a new delegate method to let MainViewController know it has to start the game for this client. Remember the cool animation from the main screen, with the logo cards flying into the screen and the buttons fading in? That animation happens any time the main screen becomes visible, including when a modally-presented view controller closes. When starting a new game, though, you don’t want the main screen to do any animations. You want to immediately switch from the Join Game screen to the actual game screen where all the action happens. The _performAnimations variable simply controls whether the flying-cards animation is supposed to happen or not. This probably requires more explanation. You’re going to make a new Game class that serves as the data model for the game, and a GameViewController class that manages the game screen. There are three ways to start a new game: as the server, as a client, or in single-player mode. The main setup for these three game types is the same, except for how the Game object will be initialized. startGameWithBlock: takes care of all the shared details, and the block you give it does the things that are specific to the type of the game. In this case, because you’re the client, you call startClientGameWithSession:playerName:server: on the Game object to get it started. But before you can do all that, you must first write some code for that new Game object and the GameViewController. None of this compiles yet, but you can see what it’s supposed to do: allocate the GameViewController, present it, and then allocate the Game object. Finally, it calls your block to do the game-type specific initializations. Pretty simple. You’ve declared a new delegate protocol, GameViewControllerDelegate, with a single method that is used to let the MainViewController know the game should end. The GameViewController itself is the delegate for the Game object. Lots of delegates everywhere. 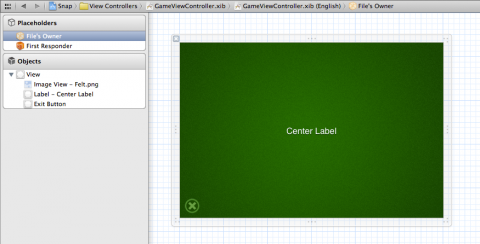 The first version of GameViewController.xib that you’ll use is very simple. It only has an exit button and a single label in the center of the screen. That also looks very familiar. You close the game screen and show an error alert view if necessary. This leaves just the Game object to be implemented. 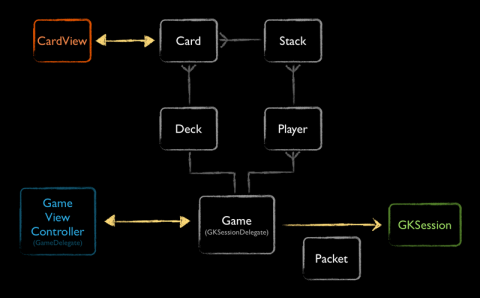 As I mentioned before, the Game class is the main data model object for the game. It also handles incoming network packets from GKSession. You’re going to build a very basic version of this class to get the game started. Throughout the rest of this tutorial, you’ll expand the Game and GameViewController classes until Snap! is fully complete. Here you declare the GameDelegate protocol, which you’ve already seen a bit about (GameViewController plays that role), and the Game class. So far you’ve only added the startClientGameWithSession… method to the class, and a delegate and isServer property. This is the bare minimum you need to do to get the app compiling again. None of the methods from the Game class do anything useful yet. Also notice you’ve declared a new enum, GameState, that contains the different states that Game can occupy. More about the Game’s state machine later. Run the app again. 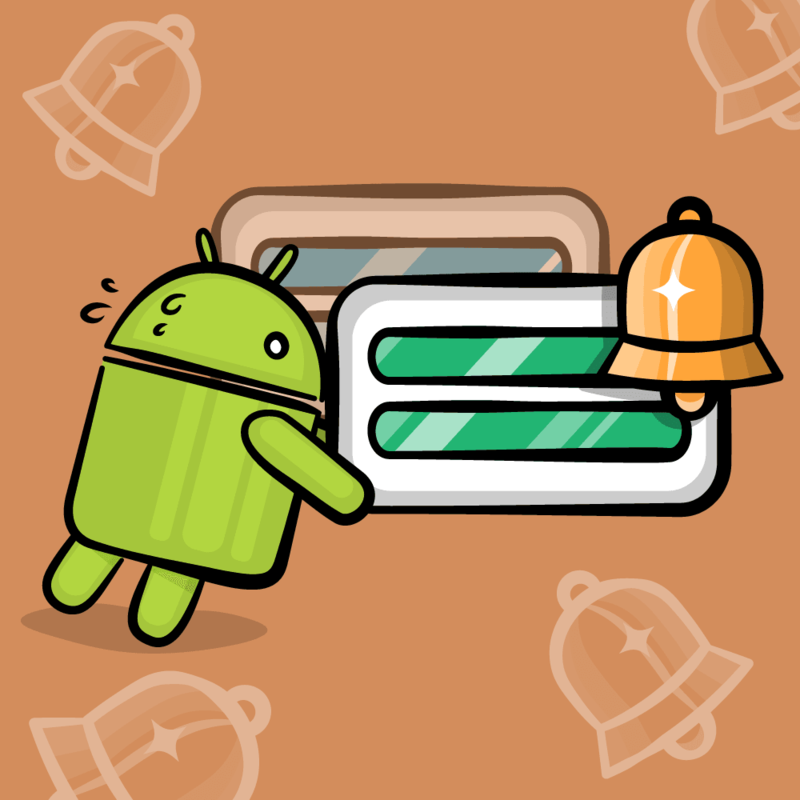 When you connect the client to the server, you’ll briefly see the “Connecting…” message (for as long as it takes to set up the connection to the server, which is usually only a fraction of a second), and then the app switches to the game screen. You won’t notice much difference because the layout stays mostly the same (on purpose), except that the main label now says “Center Label,” and is white instead of green. You’ll fix this right now. Because you’re now keeping the GKSession object alive after the Join Game screen closes, the table view of the server should still show the client’s device name. Even though the game hasn’t really started yet on the server, you can still exit. To the server, this looks just like a disconnect, and it will remove the client from its table view. You already implemented game:didQuitWithReason: in GameViewController, which causes the app to return to the main screen. Because you put some NSLogging into the dealloc methods, you can see in Xcode’s debug output pane that everything gets deallocated properly. Test it out! Starting the game on the server is not too different from what you just did. The host taps the Start button from the Host Game screen. In response, you should create a Game object and fire up the GameViewController. The Start button will only work if there is a valid MatchmakingServer object (which is usually the case except when there is no Wi-Fi or Bluetooth available), and there is at least one connected client – it’s no fun playing against yourself! When these conditions are met, you get the player’s name from the text field, tell the MatchmakingServer not to accept any new clients, and tell the delegate (MainViewController) that it should start a server game. Unlike endSession, this doesn’t tear down the GKSession object. It just moves the MatchmakingServer into the “ignoring new connections” state, so that it no longer accepts new connections when the GKPeerStateConnected or GKPeerStateDisconnected callbacks happen. Setting the GKSession’s available property to NO also means that the existence of the service is no longer broadcast. Your app can now connect a server (host) to multiple clients. But the devices just sit there with the clients waiting for the host to start the game. There’s nothing much for a player to do except tap the exit button. Because you already implemented exitAction:, and both the client and server share most of the code in Game and GameViewController, tapping the exit button on the server should end the game. Note: When you exit the server, the client may take a few seconds to recognize that the server is disconnected. 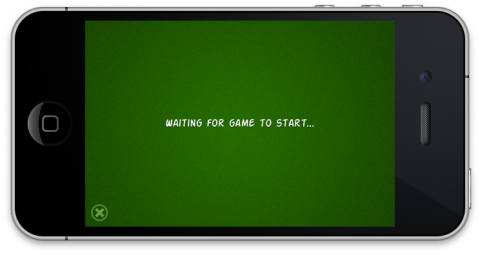 It will also remain stuck on the “Waiting for game to start…” screen, because you haven’t yet implemented any disconnection logic in the Game class. Disconnection logic used to be handled by the MatchmakingServer and MatchmakingClient classes, but now that you’ve started the game, these objects have served their purpose and are no longer being used. The Game object has taken over the duties of GKSessionDelegate. 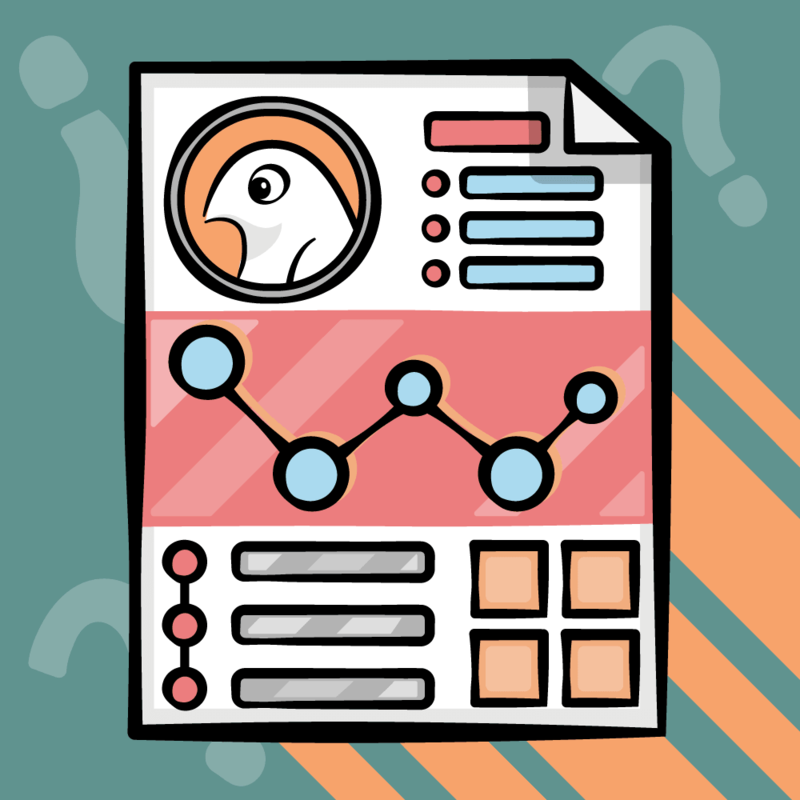 This is a good time to talk a bit about the data model for this game. Because you’re using UIKit (as opposed to Cocos2D or OpenGL), it makes sense to structure the game using the Model-View-Controller (MVC) pattern. A common way to make Cocos2D games is to subclass CCSprite, and put your game object logic into that class. Here you’ll do things a bit differently: you’ll make a strict separation between model, view, and view controller classes. Note: It may not make sense to use MVC for all games, but it does for card and board games. You can capture the game rules in the model classes, separate from any presentation logic. This has the advantage of allowing you to easily unit-test these gameplay rules to ensure they’re always correct, although you’ll skip that in this tutorial. You’ve seen the Game and GameViewController classes, but the others are new and you’ll be adding them to the project in the course of the tutorial. The players participating in the game are represented by Player objects. Each player has two Stacks of Cards, which are drawn from a Deck. These are all model objects. Cards are drawn on the screen by CardView objects. All the other views are regular UILabels, UIButtons and UIImageViews. For network communication, Game uses GKSession to send and receive Packet objects, which represent a message that is sent over the network between the different devices. By their name. This is what you show to the user, but it’s not guaranteed to be unique. The name is what the player typed in on the Host Game or Join Game screens (if they didn’t type in anything, you’ll use the device name here). By the peer ID. This is what GKSession uses internally, and it’s how you will identify the players when you need to send them messages over the network. By their “position” on the screen. This one is interesting. Each player will see himself sitting at the bottom of the screen, so player positions are relative. As you can see from the typedef, you start at the bottom position and then go clockwise (left, up, right). You’ll use the position when you need to do things in a guaranteed order, such as dealing the cards. The Game object has now entered its initial state, GameStateWaitingForSignIn, on both the clients and the server. In the “waiting for sign-in” state, the server will send a message to all clients asking them to respond with their local player name. So far the server only knows which clients are connected and what their peer IDs and device names are, but it does not know anything about the name that the user typed into the “Your Name” field. Once the server knows everyone’s name, it can tell all the clients about the other players. // Create the Player object for the server. // Add a Player object for each client. First you create the Player object for the server and place it in the “bottom” position on the screen. Then you loop through the array of peer IDs for all connected clients and make Player objects for them. 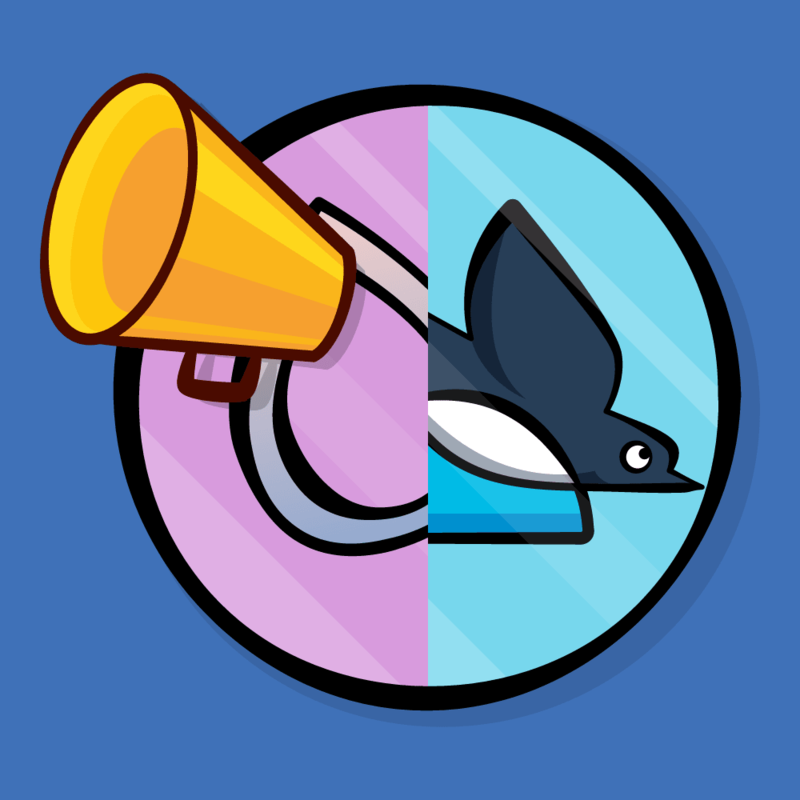 You assign the positions for the client players, in clockwise order, depending on how many players there are in total. Notice that you don’t set the “name” property of these Player objects yet, because at this point you do not yet know the names of the clients. Now that you have a Player object for each client, you can send the “sign-in” requests to the clients. Each client will respond asynchronously with their name. Upon receipt of such a response, you’ll look up the Player object for that client and set its “name” property with the name that the client sent back to you. 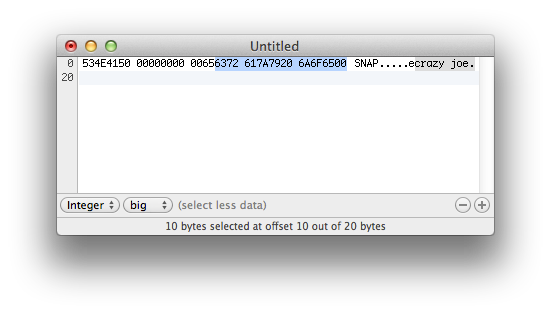 The first four bytes from the header form the word SNAP. This is a so-called magic number (0x534E4150 in hexadecimal) that you use to verify that the packets really are yours. The magic number is followed by four bytes (really a 32-bit integer) that’s used to recognize when packets arrive out-of-order (more about this later). The last two bytes from the header represent the packet type. You’ll have many types of messages that you send back-and-forth between the clients and the server, and this 16-bit integer tells you what sort of packet it is. For some packet types, there may be more data following the header (the payload). The “sign-in response” packet that the client sends back to the server, for example, also contains a UTF-8 string with the name of the player. This is all well and good, but you want to abstract this low-level stuff behind a nicer interface. You’re going to make a Packet class that takes care of the bits-and-bytes behind the scenes. Add a new Objective-C class to the project, subclass of NSObject, named Packet. To keep things tidy, place this in the “Networking” group. The enum at the top contains a list of all the different types of messages you will send and receive. The Packet class itself it pretty simple at this point: it has a convenience constructor and init method for setting the packet type. The “data” method returns a new NSData object with the contents of this particular message. That NSData object is what you’ll send through GKSession to the other devices. The interesting bit here is the data method. It allocates an NSMutableData object and then places two 32-bit integers and one 16-bit integer into it. This is the 10-byte header I mentioned earlier. 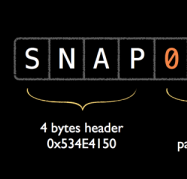 The first part is the word “SNAP,” the second is the packet number – which for the time being you’ll keep at 0 – and the third part is the type of the packet. From the names of these “rw_appendIntXX” methods, you can already infer that they come from a category. Add a new Objective-C category file to the project. Name the category “SnapAdditions” and make it on NSData (not NSMutableData!). In the last line, you call [self appendBytes:length:] in order to add the memory contents of the “value” variable, which is four bytes long, to the NSMutableData object. But before that, you call the htonl() function on “value.” This is done to ensure that the integer value is always transmitted in “network byte order,” which happens to be big endian. However, the processors on which you’ll be running this app, the x86 and ARM CPUs, use little endian. You could send the memory contents of the “value” variable as-is, but who knows, a new model iPhone may in the future use a different byte ordering and then what one device sends and what another receives could have an incompatible structure. For this reason, it’s always a good idea to decide on one specific byte ordering when dealing with data transfer, and for network programming that should be big endian. If you simply take care to call htonl() for 32-bit integers and htons() for 16-bit integers before sending, then you should always be fine. Another thing of note is rw_appendString:, which first converts the NSString to UTF-8 and then adds it to the NSMutableData object, including a NUL byte at the end to mark the end of the string. This shows you that the packet indeed started with the word SNAP (in big endian byte order, or 0x534E4150), followed by four 0 bytes (for the packet number, which you’re not using yet), followed by the 16-bit packet type. For readability reasons, I gave the first packet type, PacketTypeSignInRequest, the value 0x64 (you can see this in Packet.h), so it would be easy to spot in the hexadecimal data. Cool, so you managed to send a message to the client. Now the client has to respond to it. I’ve mentioned the GKSession data-receive-handler method a few times now. One of the parameters to that method is a new NSData object, with the binary contents of the message as it was received from the sender. This method is where you’ll turn that NSData object back into a Packet, look at the packet type, and decide what to do with it. You still log the incoming data, but then call a new convenience constructor on Packet – packetWithData: – to turn that NSData into a new Packet object. That may not always work. If, for example, the incoming data doesn’t start with the ‘SNAP’ header, then you log an error. But if you do have a valid Packet object, you pass it along to another new method, clientReceivedPacket:. First you verify that the data is at least 10 bytes. If it's any smaller, something is wrong. Most of the time you'll send packets in "reliable" mode, which means they are guaranteed to arrive with exactly the same content as you sent them, so you don't have to worry about any bits "falling over" during transmission. But it's good to do some sanity checks anyway, as a form of defensive programming. After all, who says some "rogue" client won't be sending different messages in order to fool us? 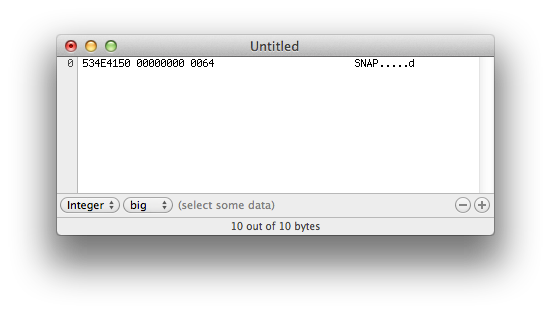 For the same reason, you check that the first 32-bit integer truly represents the word SNAP. Note: The word 'SNAP' may look like a string, but it isn't. It's also not a single character, but something known as a four-character-code, or "fourcc" for short. Many networking protocols and file formats use such 32-bit codes to indicate their format. For fun, open some random files in Hex Fiend. You'll see they often start with a fourcc. Unlike the "append" methods from NSMutableData, which update a write pointer every time you call them, these reading methods do not automatically update a read pointer. That would have been the most convenient solution, but categories cannot add new data members to a class. Instead, you're required to pass in a byte offset from where you want to read. Note that these methods assume the data is in network byte-order (big endian), and therefore use ntohl() and ntohs() to convert them back to host byte-order. You simply look at the packet type, and then decide how to handle it. For PacketTypeSignInRequest – the only type we currently have – you change the game state to "waiting for ready," then send a "sign-in response" packet back to the server. This uses a new class, PacketSignInResponse, rather than just Packet. The sign-in response will contain additional data beyond the standard 10-byte header, and for this project, you'll make such packets subclasses of Packet. It looks very similar to sendPacketToAllClients:, except you don't send the packet to all connected peers, but just to the one identified by _serverPeerID. This should be fairly straightforward, except maybe for addPayloadToData:. This is a new method that Packet subclasses can override to place their own data into the NSMutableData object. Here you simply append the string contents of the playerName property to the data object. To make this work, you have to call this method from the superclass. By default, addPayloadToData: doesn't do anything, but subclasses can use it to put their own additional data into the message. The compiler may still warn that the value stored in the local packetNumber variable is never read (in Packet's packetWithData:). That's OK for now. You'll do something with that variable soon enough. The packet type is now 0x65 instead of 0x64 (PacketTypeSignInResponse instead of PacketTypeSignInRequest), and the highlighted bit shows the name of this particular player ("crazy joe"), including the NUL-byte that terminates the string. Note: It's a good idea to keep your Game Kit transmissions limited in size. Apple recommends 1,000 bytes or less, although the upper limit seems to be 87 kilobytes or so. If you send less than 1,000 bytes, all the data can fit into a single TCP/IP packet, which will guarantee speedy delivery. Larger messages will have to be split up and recombined by the receiver. Game Kit takes care of that for you, and it's still pretty fast, but for best performance, stay below 1,000 bytes. That's seems weird, considering that you're on the server, not the client. But it is not so strange at all, for the server and client share a lot of the code, and the GKSession data-receive-handler is the same for both. So you have to make a distinction here between incoming messages that are intended for the server, and messages that are only intended for clients. In the code above, you cast the Packet to a PacketSignInResponse object because that's what the client sent you, right? Well, not really. The client only sent a bunch of bytes that GKSession puts into an NSData object, and you put it into a Packet object using packetWithData:. Here you simply read the player name, which begins at an offset of 10 bytes in the NSData object (as indicated by the PACKET_HEADER_SIZE constant). Then you call the regular convenience constructor to allocate and initialize the object. And now everything should compile – and run! – again. Try it out. The server properly writes out the names of all connected clients. You have achieved two-way communication between the server and the clients! I hope you aren't sick of all this networking stuff yet, because there's more to come in Part 4! Click through when you are ready to implement the "game handshake" between clients and servers, and to create the main gameplay screen!